The order came on a letter written by the IMA to Acting Chief Justice Gita Mittal and the Delhi Chief Minister Arvind Kejriwal seeking postponing of the marathon, scheduled to be held on November 19. 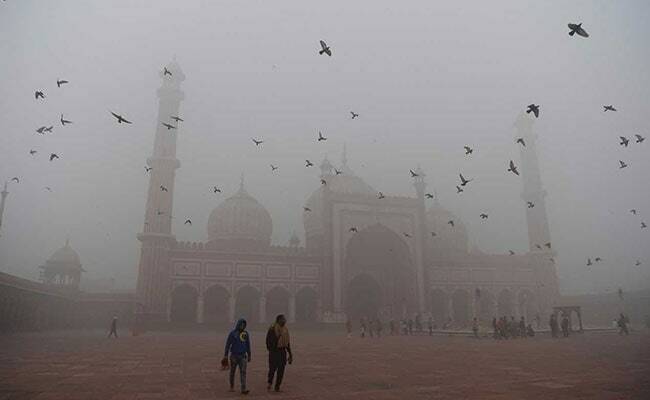 New Delhi: Terming the air quality in the national capital as poor and unsafe, the Indian Medical Association (IMA) today urged the Delhi High Court to pass directions to postpone the Delhi Half Marathon. Taking note of the present air pollution in the city and the urgency expressed by the IMA, a bench of Justices S Ravindra Bhat and Sanjeev Sachdeva issued notice to the Delhi government, police, the pollution control panel DPCC, and the organisers of the event and sought their reply by November 16, the next date of hearing. The high court had on November 9 issued a slew of directions to improve air quality of Delhi. Calling it an "emergency situation", the high court had asked the government to consider the option of "cloud seeding" to induce rainfall artificially, as an immediate step to bring down the dust and particulate matter in the atmosphere. It had directed the Delhi government to seriously consider a ban on further construction in the city to the extent possible and implementing the 'odd-even' vehicle usage scheme as a short term measure. It had said that the fog here was a "deadly mixture of vehicular pollution, construction and road dust and stubble burning." Directions were also issued by the bench to the Delhi Traffic Police to ensure there is no vehicular congestion on the roads and provide masks to the personnel on duty. The bench had also ordered the Union Environment Secretary to hold a meeting in the next three days of the chief secretaries of Delhi, Punjab, Haryana and Uttar Pradesh to work out a joint short-term plan to bring down air pollution.